Vintage Reserve is nestled in a private Littleton location at Coal Mine Road and Depew in a relaxed country setting that exudes character. The 218 homes were built by Lennar between 2006 and 2009. Homes styles are mostly two-story with a few ranch and all floor plans include a basement, 2-3 car attached garage, and 2,000-4,500 square feet. Each home sits on lots sizes of 6,000 to 12,000 square feet and includes a back patio or deck. The Vintage Reserve Homeowners Association, Inc includes snow removal, trash, recycling, grounds maintenance, and access to the clubhouse. At Vintage Reserve you will appreciate the numerous shopping opportunities, including a King Soopers shopping center all located within ½ mile of the community. For the sports enthusiasts, nearby Raccoon Creek Golf Course will provide you with a challenging round of golf. Renowned Normandy Estates Riding Stables offers first-class equestrian facilities right across the street. Spectacular strategic placement of open space and walking trails, plus an adjacent park within the Vintage Reserve community all add to the beauty of this tranquil community. You will appreciate being able to relax in Vintage Reserve’s stunning clubhouse or kick up your heels on those special occasions to celebrate. With both Southwest Plaza and Aspen Grove shopping centers close by, convenience for shopping and dining are right on your doorstep! See what your home is worth With an Instant Home Valuation Online. Want advice on selling your house? We provide a free staging consultation, pre-listing prep plan, and a Vintage Reserve real estate market analysis. Call us at 303-325-5690 to learn more. New to the Area? 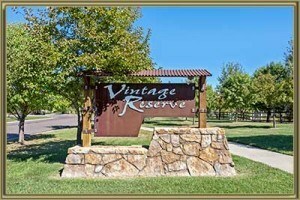 Call our Vintage Reserve real estate agent at 303-325-5690 to schedule your tour of Homes in Littleton CO.